Available at all good retailers. 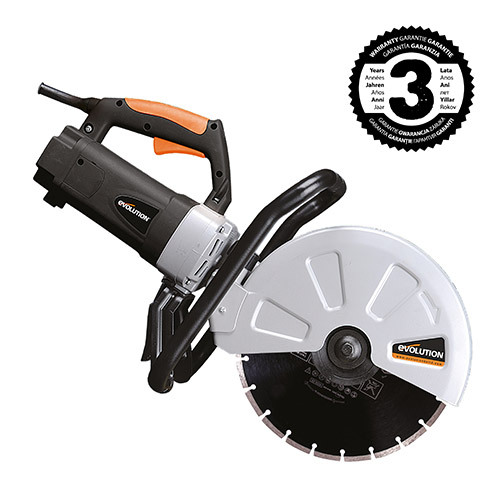 The ideal alternative to high maintenance, petrol-powered disc cutters. 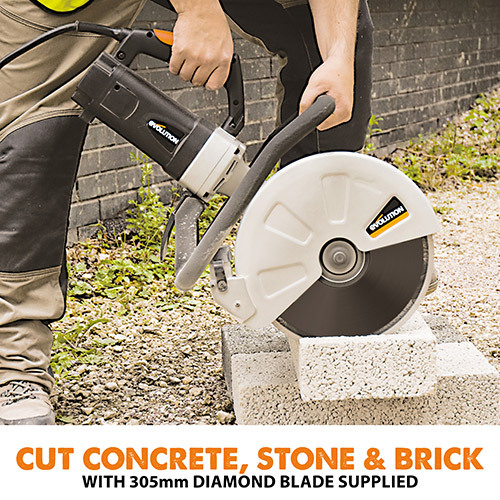 Evolution’s Electric Disc Cutter makes easy work out of the most robust materials and easily cuts Concrete, even extremely tough Reinforced Concrete, Stone, Brick, Paving and other Stone materials. 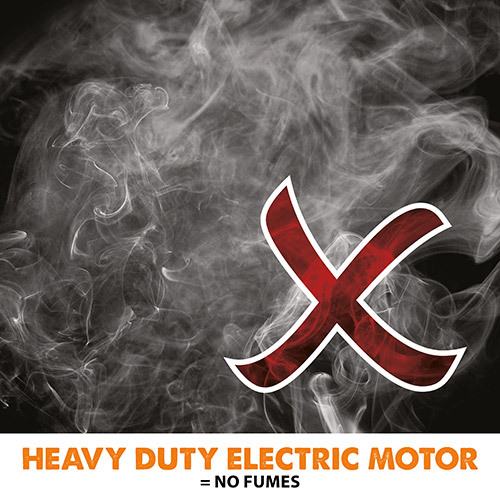 The 2400W hi-torque, heavy duty electric motor means no harmful fumes are emitted, making it ideal for work in enclosed areas and very easy-to-use. 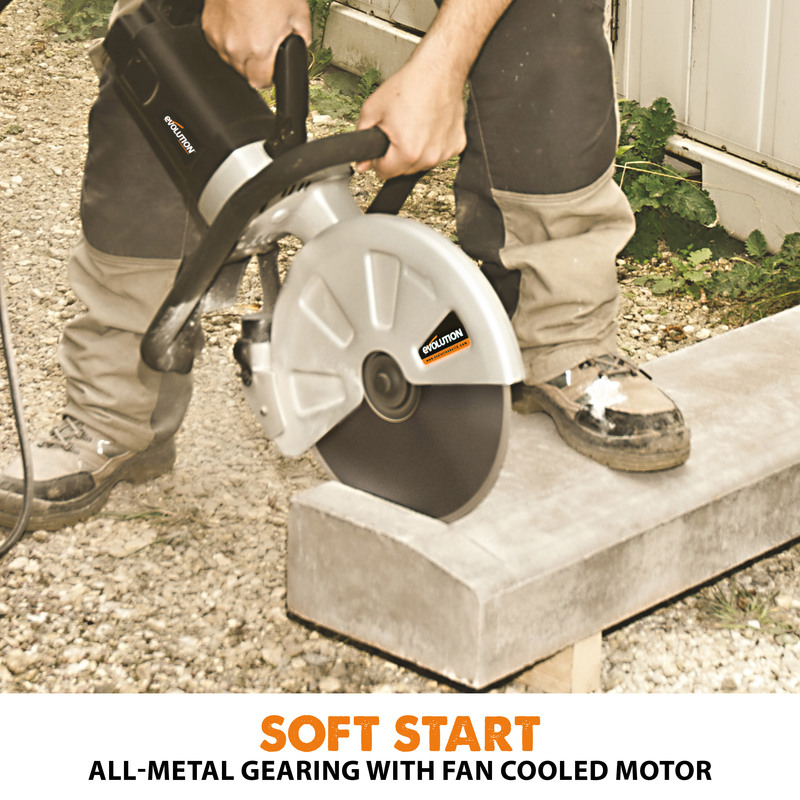 It's the ideal alternative to high maintenance, petrol-powered disc cutters! 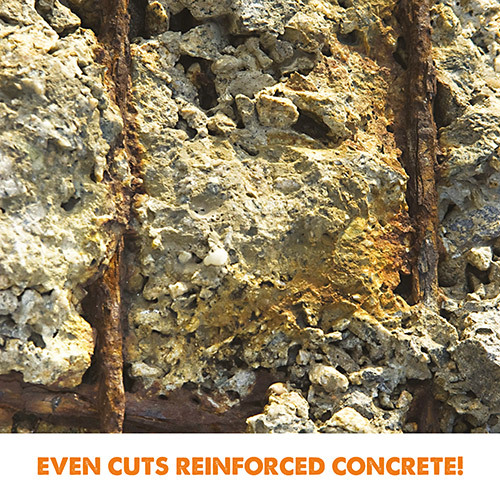 Cuts Concrete, even extremely tough Reinforced Concrete, Stone, Brick, Paving and other Stone materials. 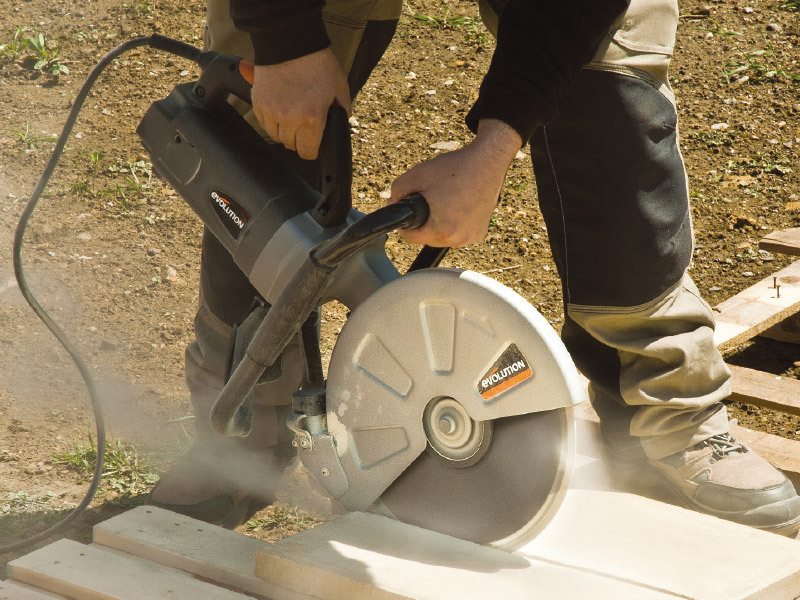 The 2400W (15A) hi-torque, heavy duty electric motor means no harmful fumes are emitted, making it ideal for work in enclosed areas and very easy-to-use. The ergonomic soft-grip, mid-position, front and rear support handles are ideally positioned to aid accurate cutting in both horizontal and vertical modes. The safety guard is fully adjustable. 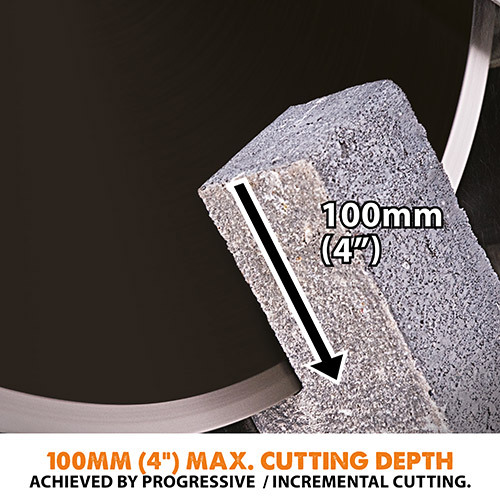 A large 100mm (4”) maximum cutting depth can be achieved through progressive / incremental cutting. 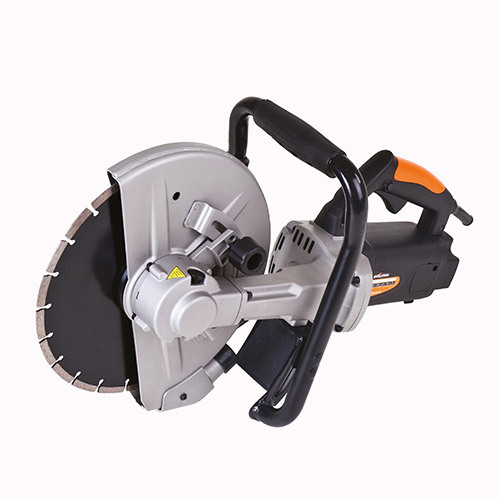 The spindle lock mechanism means that blade replacement is quick and simple. 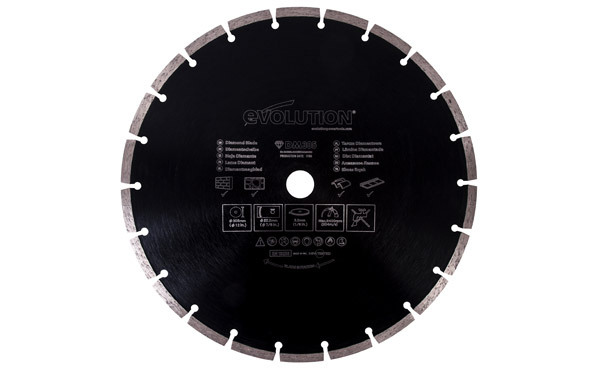 Supplied with 305mm (12”) diamond blade. SUBSCRIBE TO THE EVOLUTION NEWSLETTER. 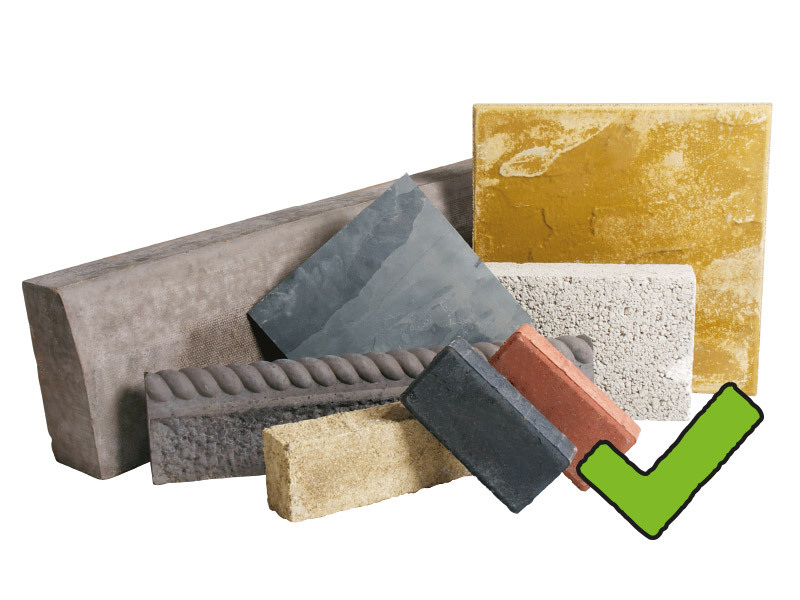 Copyrights © 2019 All Rights Reserved by Evolution Power Tools Ltd.
*Excludes hardened high carbon, coated and stainless steel. **Evolution's internal test data. 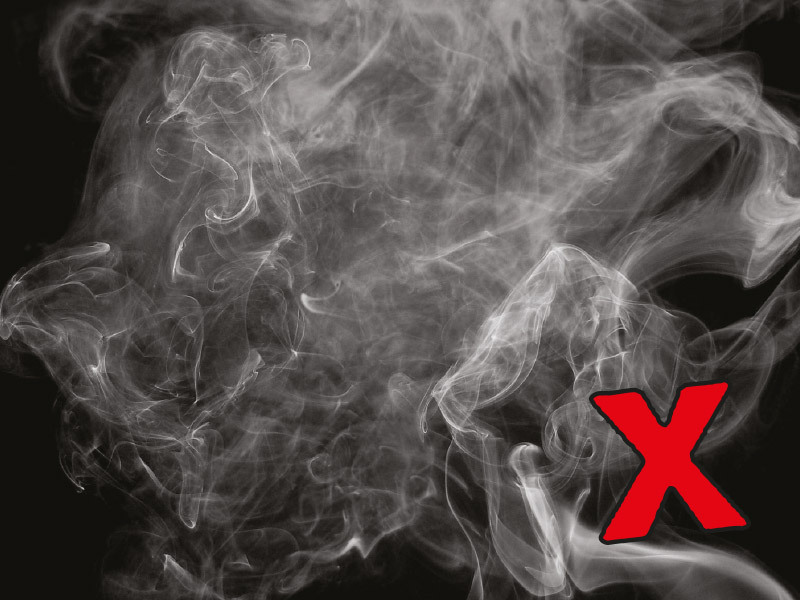 ***Pictures shown are for marketing purposes only. 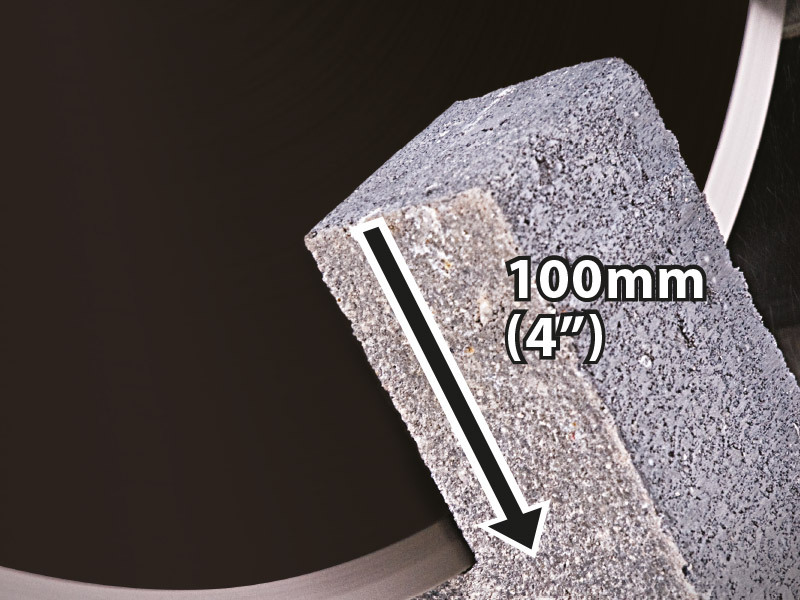 Do not cut more than one material at a time.